In order to suggest you best suitable investment strategy many times financial advisor seek your personal financial information, sometime client avoid giving this information. Let me share my recent experience on this which inspired me for writing this post. Few days ago one question was asked on my email about seeking investment advice. Question was, I am 40 years old, I have good job, I have 50,000 Rs/- to invest in. What do you think I should take additional loan from my brother and invest it in stock market? Or should I take home loan and invest it in real estate? My reply was do you have plan? I asked politely “If you’re 40 years old and have a good job, why you don’t have enough money? And if you lose your brother’s money due to stock market crashes how you will pay money back to your brother? or if you invest in real estate and tomorrow you lose your job what will be your next step ? You will be selling this house for payment of home loan? Or do you have other plan. 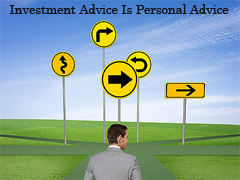 Investment advice is personal advice; Advice given for person A may not be suitable for person B. To make my point clear let me ask you simple question, “Why there are so many different types of cars available in market?” because there are so many types of people and people have different needs. A single person may not need “Toyota Innova” eight sitter car, but a family with four kid may need one. A small family with two kids may prefer “Indica or Verna” four sitter car. Same way in market there are many different investment products are available, because there are many different people with many different needs, just as a family with four children has different needs than a single person or a small family. An investment product is called as vehicle as it takes you from where you are financially to where you want to be, sometime in the future, financially. You have to select investment vehicle carefully,not only that you have to make plan before investing. You must make your plan before investing in any investment vehicle. “Investing is like planning a trip” let’s say from Mumbai to Goa. Obviously, in order to reach from Mumbai to Goa you cannot use cycle. You can plan your travel by car, bus, train, boat or by air plane. All are different vehicles. Every vehicle mention above can take you to Goa, but time & money matters. Aircraft can take you in 30 minutes but cost you more, while bus will take 24 hours or more & cost you less. You have to plan that what time & cost you can afford for this trip. Apart from this you have to plan in advance that how long you want to stay at that place (based on your budget). So many other things you need to plan for this travel. Plan trips are easier and enjoyable compare to unplanned trips. Same is applicable on investing. In above example in order to travel from point A (Mumbai) to point B (Goa) so many things you plan and then selected specific vehicle or vehicles for travel, similarly in order to take you from where you are financially to where you want to be in future you must make plan & than select investment vehicle based on your plan. Selecting investment vehicle without plan is like shooting arrow in the dark, hoping they might hit something. Simply you have to pray that some chance, they might be able to catch their prey. The probability of catching something in such a case is very low. This is one of the major issue with so many people who are striving to become wealthy by doing investment. They don’t plan anything, they don’t write their goals down, and they want to get somewhere they have never been before without a map. That’s insane and the probability of getting lost is high. If you want to succeed in financial life, you got to have a map which will show you where you are going. 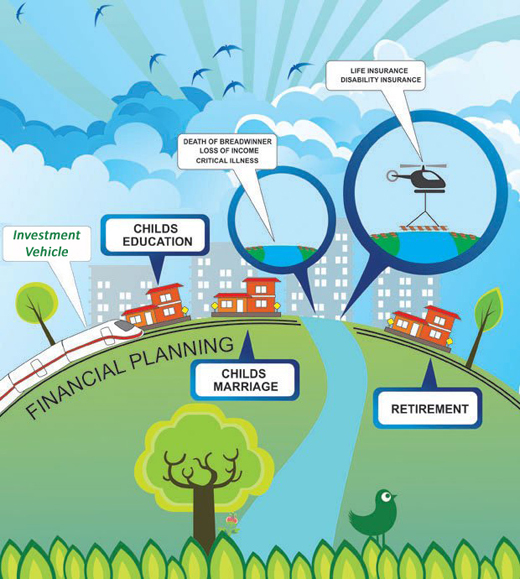 When you don’t have your own financial plan (map) in place, all these different products and procedures become overwhelming and confusing. So, Remember “For investing you need plan before investment product. Well, Everyone wants to save money for future retirement. It is very important to start some of the best plans like company pension plan and many more, as soon as possible. Taking right decision can make the difference between financially secure retirement and a retirement filled with financial worries. There are many online retirement plan consultants who provides you more better options.